Remove the brake master cylinder. 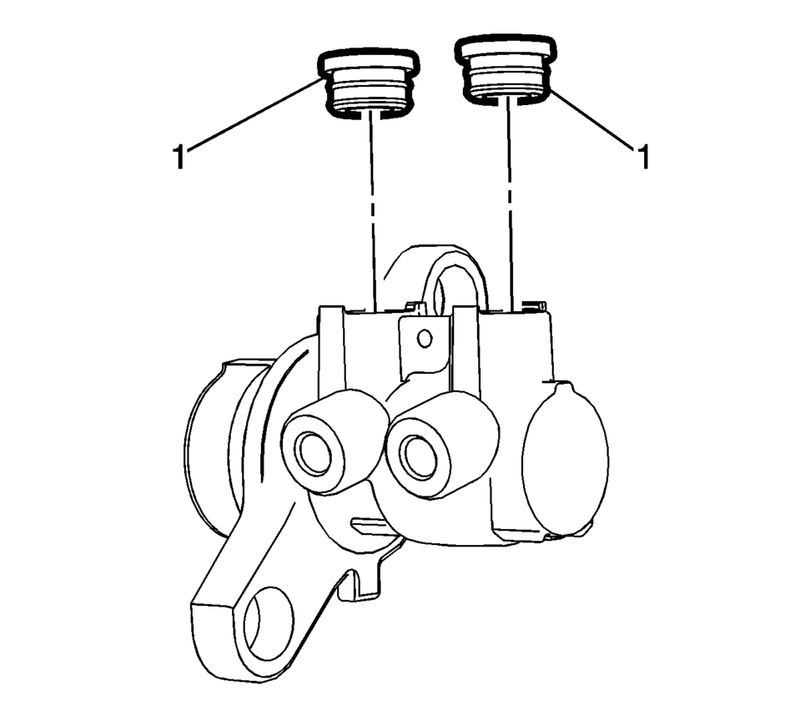 Refer to Master Cylinder Replacement. Remove and discard the brake master cylinder reservoir roll pin (1). Remove the master cylinder reservoir (1) by carefully pulling straight upward. Remove the brake fluid level indicator switch, if necessary. Refer to Brake Fluid Level Indicator Switch Replacement. Remove the brake master cylinder reservoir seals (1). If replacing the master cylinder reservoir, discard the reservoir seals. Lightly lubricate the brake master cylinder reservoir seals (1) with GM approved brake fluid from a clean, sealed, brake fluid container. Install the lubricated brake master cylinder reservoir seals to the brake master cylinder. 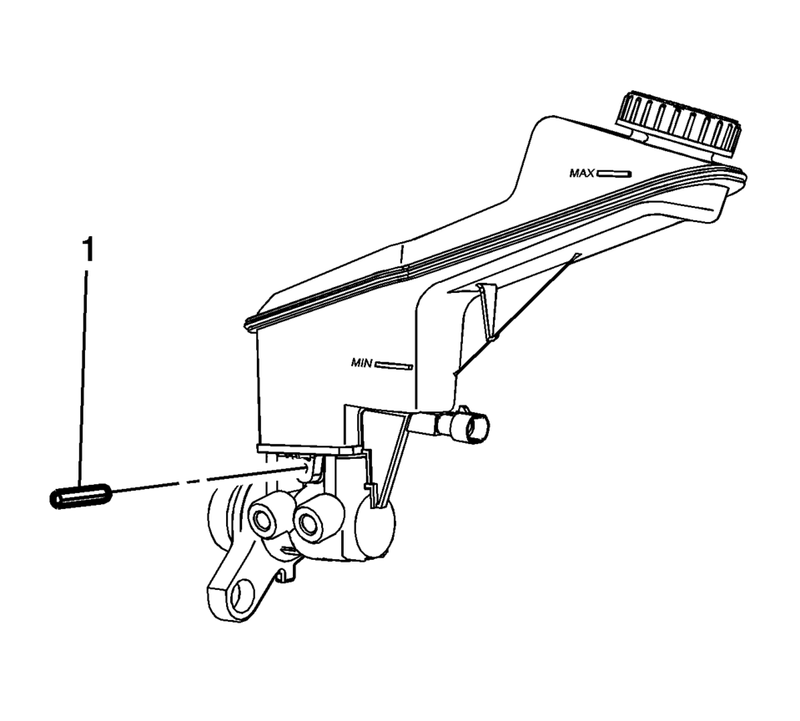 Install the master cylinder reservoir (1) by firmly pressing straight downward. Install the brake fluid level indicator switch, if removed. Refer to Brake Fluid Level Indicator Switch Replacement. Install a new brake master cylinder reservoir roll pin (1). Install the brake master cylinder. 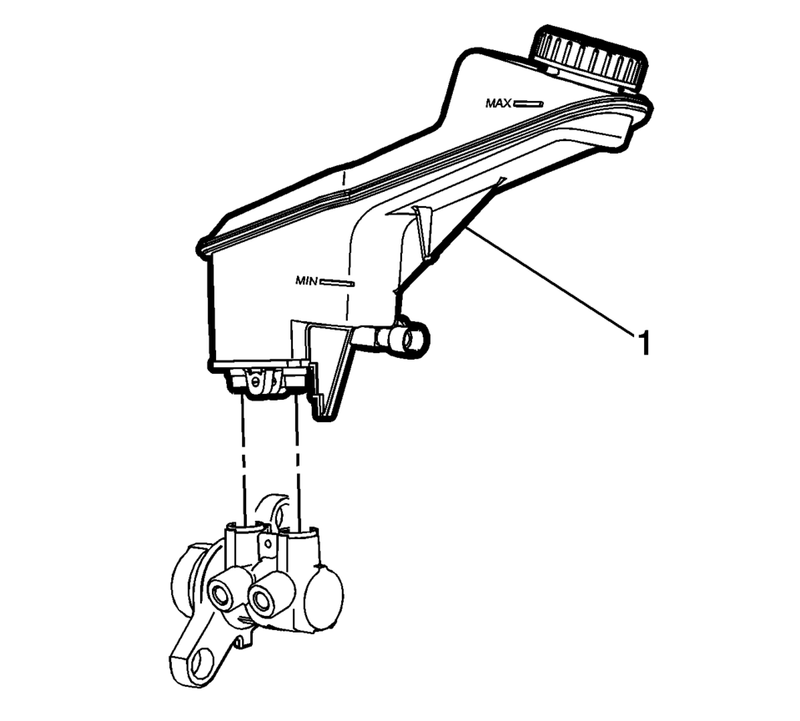 Refer to Master Cylinder Replacement.